A Hyundai company director has gone back to the shop floor in the latest episode of Channel 4’s Undercover Boss. 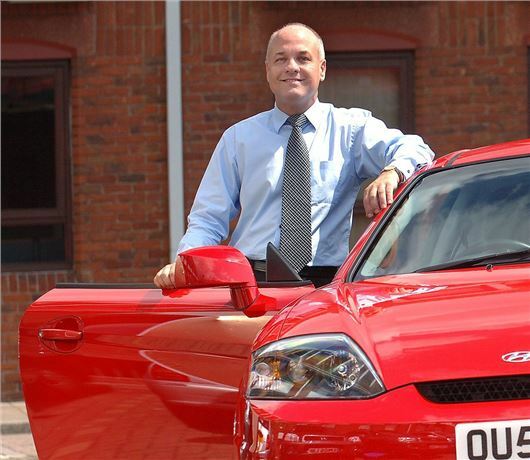 Office-based Ray Pope traded his sharp suit and comfortable office in High Wycombe for a disguise and a pair of overalls to gain a better understand of Hyundai’s business practices. During filming Ray worked in a number of key areas, which included a workshop, valeting base and sales centre. Going undercover was an eye-opener for Ray, who had the chance to directly experience the issues affecting those on the shop floor and to identify where more training was required or systems needed to be needed to be improved or modernised. Hyundai has experienced fast growth in the UK over the past 10 years and Ray sets out to discover whether the firm's systems are still fit for purpose. As well as going undercover at a dealership, Ray spends time working at the company's largest operation, Tilbury docks. However, while Ray was amazed to see Hyundai import 2500 cars a week, he was shocked to find that dozens of cars go missing - albeit temporalily. In a statement, Hyundai UK said: "The Hyundai business has almost tripled in the last five years and at the end of 2012 we became one of the top ten car manufacturers in the UK. The product range has been completely revitalised, the dealer network has been enhanced and improved and sales have risen dramatically attracting more people to the brand. However, we now have to focus on ensuring that we meet the expectations of all our customers by delivering the best service on every level. "Whilst we continually work closely with all of our Dealer partners and our other sites to improve our offering, the experience of Undercover Boss has given us the opportunity to see whether our rapid growth in the UK has put the business under strain at a grass roots level, and to learn what Hyundai Motor UK can do moving forward to improve our systems and processes to enable our business and that of our Dealer partners to function smarter and to deliver even better for our customers. Ray did find certain areas that can and should be improved by HMUK but what inspired him the most was the passion and enthusiasm of all the people he met on his journey – enthusiasm for the industry, the brand and its products." Wonderful programme - a real gem. Can't say it will make me rush out & buy a Hyundai, but certainly had earned my respect as a company. PS. Once drove a Hyundai Getz in S Africa and though it was a great little car. Well done Mr Pope. Nice to see the changes made where it counts. Made a lot of positive changes to staff working conditions. Nice to see someone from the top leave the office and experience the real word at ground level. Can only make everyone happier staff and customers!